Share the story of Santa's epic sleigh ride with your little ones this Christmas season. 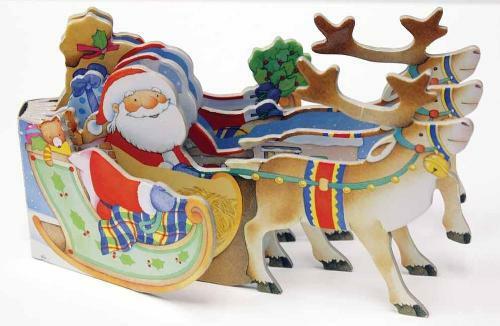 Children will get excited when they see Santa feeding his reindeer, working on the sleigh with his elves, packing up all the gifts for girls and boys, and taking off into the snowy night. Hold on tight, though--it's going to be a bumpy ride! Shaped just like Santa's sleigh, this book is a wonderful way to share the joy of the season with little ones getting ready for Santa's arrival.